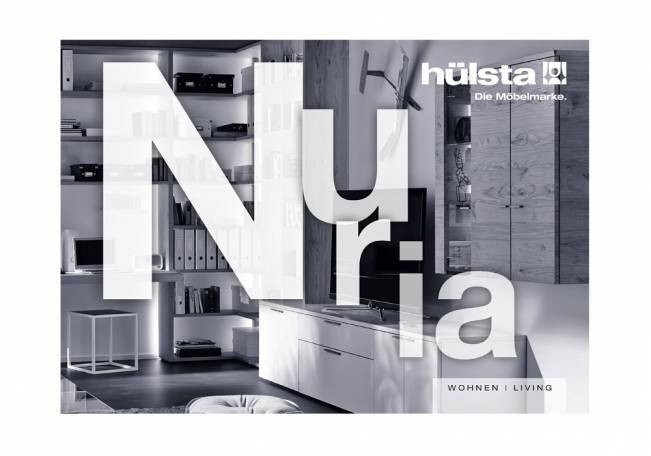 Nuria features a design flexibility that will provide a solution to any interior design idea. The range offers a calm atmosphere, created from balanced shapes and fronts in any colour. There is a choice of lacquer and wood, soft curves, clever lighting and rounded edges. Modular units can be used freestanding or in side panel combinations. The Natural Colour System (NCS) complements the standard versions by colour nuances that can be freely selected – choose your favourite colour or a colour to coordinate with other units.